Practice Nursing will provide you with the latest evidence-based clinical features, best practice guidance and primary care research. 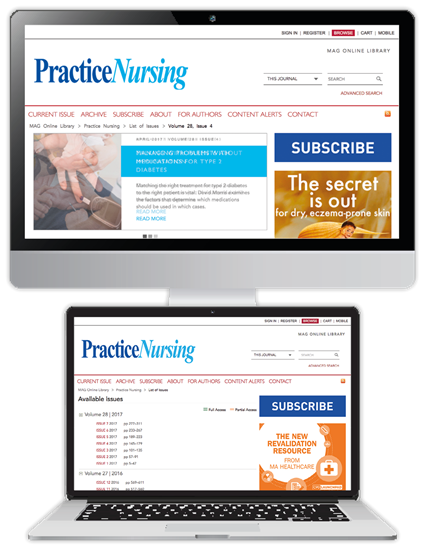 Published every month, with an online archive over every article since 1997, it addresses all relevant professional and educational issues, it is filled with indispensable information to support your practice. If - for whatever reason - you are not happy with the first issue you receive access to, our 30-day money back guarantee means that we will offer you a full refund, so you have nothing to lose.